LIFECARE CHIROPRACTIC - HEALTH CARE......as it should be. Strategy for Losing Belly Fat! Wacky (but effective) Uses for Chiropractic! When Should You Use Out-Of-Network Healthcare Providers? 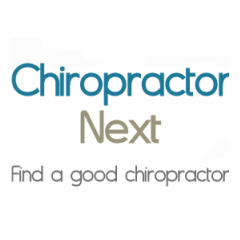 At Lifecare Chiropractic in Mesa AZ, we have developed an integrated approach to chiropractic care for your condition, whether it is low back pain, headaches, shoulder pain, neck pain, knee pain or elbow pain. We combine treatment of your muscles, tendons, ligaments and fascia with chiropractic adjusting to get you better fast and keep you that way. Added to this treatment is the best understanding of how to improve all aspects of your diet, stress levels and exercise and help you achieve the best health possible. Dr Pangburn has over 17 years experience as a Certified Personal Trainer. She received her chiropractic training at the world renowned Palmer College of Chiropractic in Davenport, IA. Dr. Pangburn uses her skills in examination and evaluation to develop a customized plan for recovery using many techniques and modalities, such as therapeutic massage and physiotherapy. Her goal is to use a sensible, dedicated approach to whole health, recognizing that there are many tools to use to ensure a good outcome for her patients, no matter what their age or condition. Dr. Pangburn is dedicated to serving her community and spends time every month giving back to the community which she now calls her "hometown". Graduate of Palmer College of Chiropractic with additional study in Activator, Flexion Distraction, and Nimmo (a trigger point technique). Dr. Pangburn is a Certified Golf Injury Doctor. 1830 S. Alma School Rd.